Whether you are going to your first prom or your last, prom is an important night in every high schoolers life. Nearly as important as the night itself is the dress. For many, finding the perfect prom dress can be stressful. However, if you know when to start looking and what to look for, it can be the exciting experience it should be. Although prom is not until May, you should start looking for prom dresses in January. 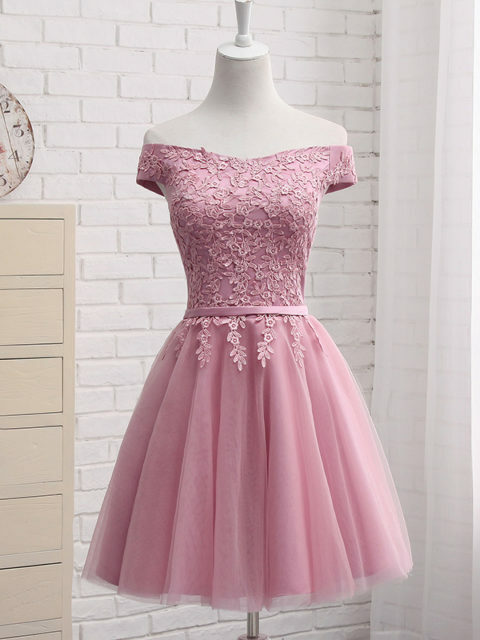 Some stores guarantee that they won’t sell the same dress to another girl attending the same prom, so the earlier you start looking the more likely you are to get the dress you want. If the dress needs to be altered, tailors often need a few weeks notice in order to ensure that the dress fits properly. 1. Triangle: You should look for a dress that accentuates your hips, giving you more of an hourglass shape. Be careful not to get something too short, as this can make you appear more top heavy. 2. Apple: Look for a dress with an empire waist and/or embellished top with an A-line or full skirt. This will draw attention to your upper body while covering your middle. Also, don’t be afraid to show off those legs! 3. Rectangle (slim all around): Form-fitting dresses look great on this body type. A dress with an empire waist, asymmetric neckline, belt around the waist or a slit will add dimensions and curves. 4. Hourglass: Anything with a form fitted top, natural or accentuated waistline, open neckline and/or wrap dresses all look amazing on thisbody type. 5. Pear: Dresses with a fitted open neck or strapless top and a full or A-line skirt will emphasize your small waist and hide larger hips. 6. Petite: Shorter, more slim fitting dresses will elongate your silhouette and make you appear taller.